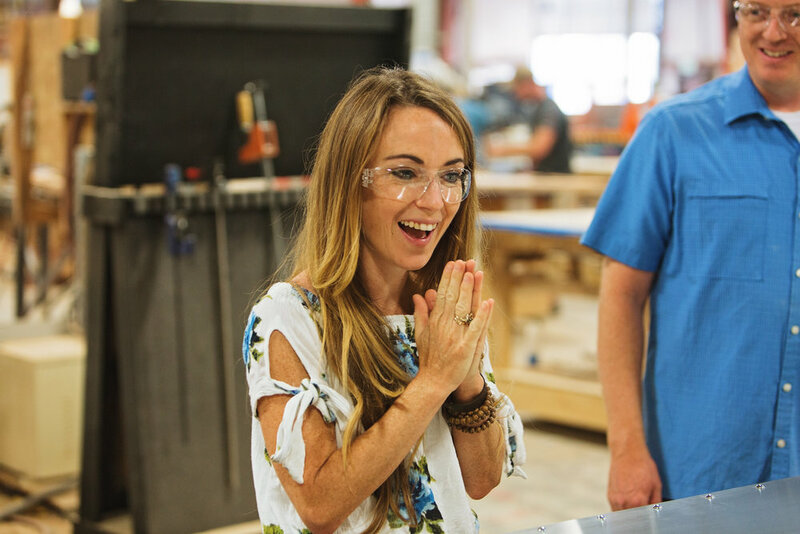 Kim Lewis, Lead Designer behind ABC’s “Extreme Makeover: Home Edition”, DIY’s “Tiny House Nation”, and owner of Kim Lewis Designs, is now the newest member of the Rustica Hardware family! Kim is shaking up the status quo through her innovative designs that are inspired by actual places, people, and things. Soon we will be launching our collaboration with Kim on a new line of wholly original doors, inspired by real locations. Before we introduce you to these stunning doors, we wanted to let you into the mind of the designer, Kim Lewis.